Of many exciting apps available on iOS App Store, there still exists some funny apps taking charge for the complete makeover of your pictures. These apps are loved and adored by many users for their amazing features, from kids to adults. With these amazing apps, you can easily create funny faces in an entertaining way on your iPhone. With these funny face apps, you can add stickers, change hairstyle, add beard, sunglasses and expressions. You can also prank family and friends by editing and sharing their photos using the funny face apps on social media platforms. 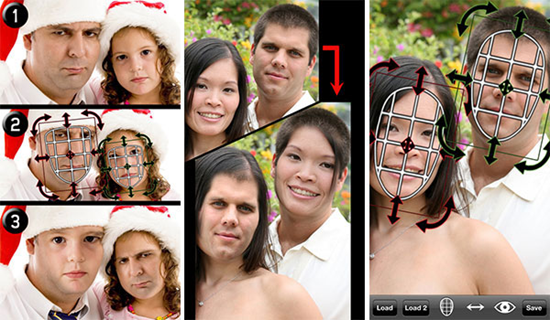 This article highlights 5 best apps for making funny faces and face swapping on iPhone. Now, set yourself free and choose the one you think is best for you. Tips: If you lost important photos/videos from iPhone, you can always use Jihosoft iPhone Data Recovery to get them back from iOS device easily without damage. MSQRD lets you transform your face into dozens of digital masks that blend with features like magical special effects. The App offer the face of celebrities, animals and spooky creatures for swapping. 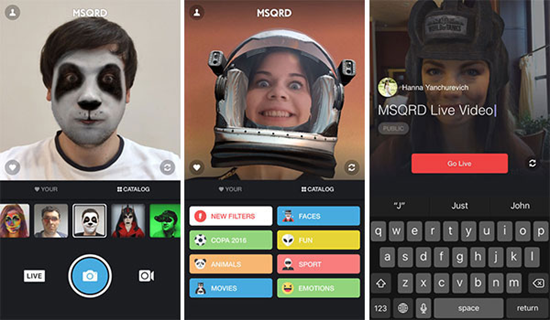 You can change your face into a panda, zombie or even face swap with your friends in the MSQRD app. You can also save and share photos and videos, and even broadcast yourself live to your friends, families and fans on Facebook while wearing your digital mask on. Its hysterical filters will have the whole family laughing. Best of all, some masks animate depending on your expression. 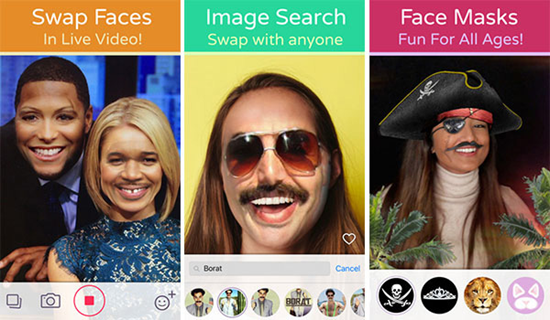 With Face Swap Live, you can swap faces with a friend or a photo on iPhone. You can also record videos and photos of yourself while swapping faces with your favorite celebrity, a friend or any picture on the Internet. You can change faces with photos and filters. The app also lets you put your moving mouth on the picture of your favorite pet. Isn’t that amazing? Face Swap Live also has the ability to switch faces right from the camera’s feed. The most amazing feature is its ability to let you play with some of the amazing mask costumes such as glasses, hats and beards. The app is available for download at US$ 1.99. Snow is a camera app for iPhone used by over 200 million people all over the world. With SNOW, you can take a fun video with live face filters and send it to a friend. 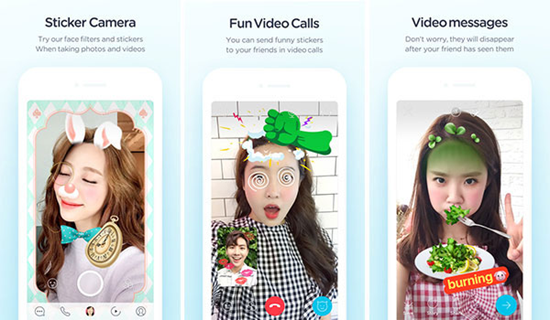 One of its amazing features is that when you send funny stickers to your friends in video calls, the filters disappear once your friends view them. Its new features, makeup options like eyeliner and eye shadow, the option to add grain and tint effects when editing photos, bring more fun into sharing fun moments with the SNOW app. You can easily switch faces in a minute or even less with iSwap Faces on iPhone. And you can change one person’s image from one form to another using iSwap Faces. To switch faces using iSwap Faces app, take a picture or load a photo from your iPhone. And then place the masks over two faces, then let iSwap do the rest for you. You can easily swap faces with your friends’ albums on Facebook, Instagram and Twitter, and then post the results on social media for sharing. Funny Face has filters that let you make fantastic photos on iPhone and share them to any social network. 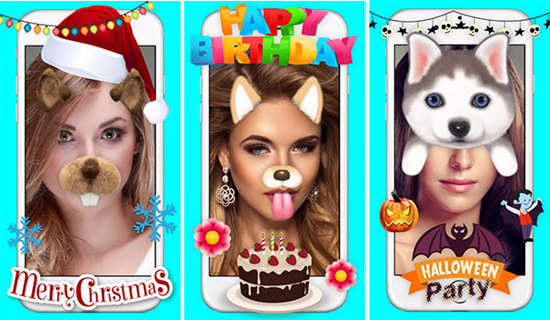 It has filters like: Funny style, created with hat, hair, eye, glasses, nose, mouth, beard, masks, birthday, cartoon, emoticons, love, Halloween, Christmas and thousands of stickers. It also has lovely filters specially designed for iMessages. There are lots of face changing apps for iPhone out there and when it comes to choosing the right one to use, we know that can be challenging. To help you make the right decision, we have listed the 5 best and most interesting funny faces apps for iPhone. From the five apps, you can swap faces, add filters and do much more on your photos and videos before sharing them with the world. The ball is now in your court. Choose what you think will satisfy all your needs. Have fun. Enjoy with your friends, family and your fans. If you have any question or suggestion, don’t hesitate to contact us by commenting down. You are always welcome here.